Gyumri, Armenia was struck hard by a 1988 earthquake that left 25,000 people dead and 100,000 more without homes. From 2001-2003, the Urban Institute helped build thousands of housing units for the displaced families, who were still living in temporary shelters in public spaces all over the city. With the success of this rehousing program, the central square was again available to the public, opening the way to plan its revitalization. In July 2003, a grant from the Academy for Educational Development (AED) brought PPS to Gyumri to facilitate the first effort since the earthquake to recapture some of the civic life that had characterized this cultural center. Local project partners included the Urban Institute and a local steering committee of architects, planners, NGOs and city officials. Despite fears that this public involvement effort would fail because participation has been virtually unknown in Armenia’s 6,000-year history, more than 70 people attended a daylong Placemaking workshop. The enthusiasm in the workshop immediately sparked a cross-sector collaboration in the city on an unprecedented scale, starting with the steering committee’s decision to implement a large number of the ideas from the workshop in the short-term. 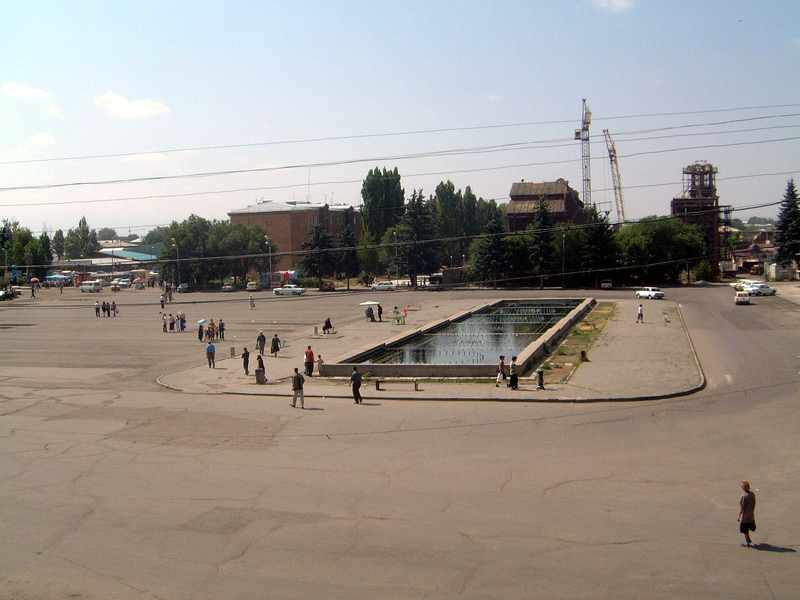 The result was the “New Gyumri Festival and Placemaking EXPO,” which occurred just two months later in September 2003, during which time the town of Gyumri saw their square full of people (estimated at 35,000) for the first time in anyone’s memory. City planners worked alongside the committee and local NGOs, along with Armenian AED and Urban Institute staff, with partial funding from USAID. 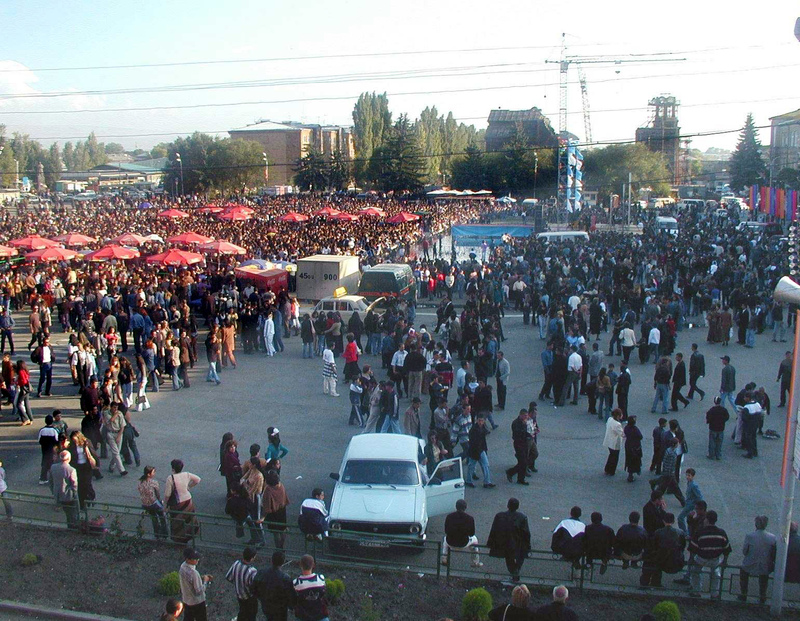 Among the lengthy list of events and improvements were a flower market, which has since become a regular bi-weekly event; a giant chessboard made by the local chess club; seven cafes on the square (where none normally operate); night lighting on the square; performances, dances, wrestling matches, gymnastics, and children’s programs; new banners and street signage. A follow-up winter event took place in the square in February 2004, with the city and local NGOs optimistic that more events can spark an economic revival of the town center. The Placemaking Expo excited so much interest from USAID, AED, and the US Ambassador that local leaders are optimistic that they can raise significant money for a much bigger Placemaking program in towns across Armenia.